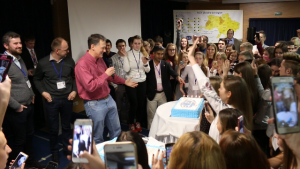 In recognition of the 25th Anniversary of U.S.-Ukrainian diplomatic relations, American Councils organized a reception on November 4 to celebrate the milestone and recollect with the 200+ alumni attendees of the event, the value of international education and exchange. The event started with heartfelt memories from alumni about how FLEX transformed their lives and ended with candles, cake, and words of praise about the success of the FLEX program and its impact on post-soviet countries by acting Chargé D’Affaires for the U.S. Embassy in Ukraine, George Kent. 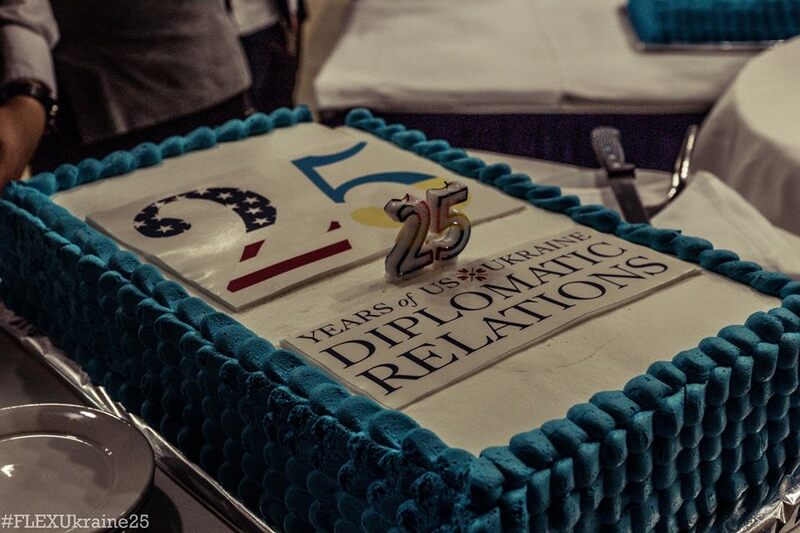 From 1992 to 2017 — here's a behind-the-scenes glimpse of the reception celebrating 25 years of U.S.—Ukrainian diplomatic relations.Thank you to the U.S. Embassy Kyiv Ukraine for making this event possible and for brining together 250 alumni to tell their stories. 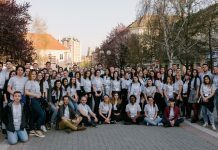 Here's to 25 years of the FLEX Program in Ukraine and 6,814 Ukrainian FLEX alumni.Find more stories through #FLEXUkraine25 and stay tuned for #FLEXTalks from the event! 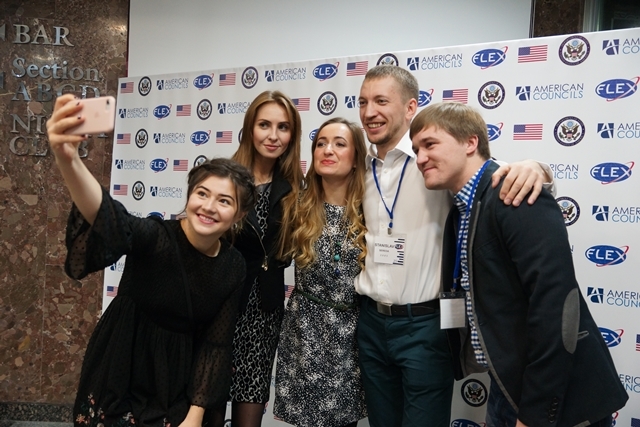 FLEX alumni, representing every program year, from 1994-2017, came out to the event at the President Hotel in Kyiv, Ukraine. 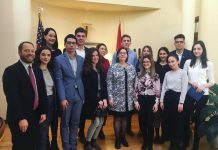 Following remarks from Karen Robblee, the counselor for Public Affairs at the U.S. Embassy in Kyiv, senior FLEX alumni took the stage to share their stories and inspire younger generations of alumni to share theirs. FLEX Alumna and facilitator of the global training company Franklyn-Covey, Anastasia Markuts (Marganets, Ukraine) shared her ‘’FLEX Story,” of personal joy, frustration, and career development that stemmed from the lessons that she learned while she was an exchange student on FLEX in Bloomington, MN in 1998-1999. Using her facilitation background, she took participants through steps to effectively format a story for any audience and present it. Anastasia pointed alumni in the direction of the video room, where American Councils staff members were ready to record videos for those alumni interested in sharing their stories. 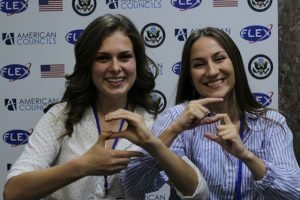 And many alumni shared their impressions of their FLEX year and the reception using #FLEXUkraine25. FLEX alumni are leaders in the Ukrainian NGO world. 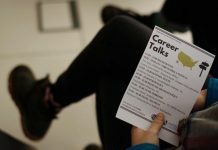 Twelve organizations developed and operated by FLEX alumni ran stands at the event, to offer their fellow alumni chances to learn about employment and volunteer opportunities with the NGOs and programs. FLEX alumnus and co-founder of the Ukraine Crisis Media Center Vasyl Myroshnychenko ’97 (Volchisk, Ukraine/ Chattanooga, TN) shared his story of working in and developing the NGO sector in Ukraine and encouraged his fellow alumni to utilize volunteer opportunities at NGOs to test out and learn skills valuable to employers. Roman Fishchuk ’04 (Ivano-Frankivsk, Ukraine/ Lancaster, PA), an ENT Specialist who shared his story about studying abroad many times and always coming back home to develop Ukraine. Kateryna Kalendruz ’08 (Doslidnytskem Ukraine/ Branson, MO) who urged alumni to turn failures into learning experiences. She works as a Program Coordinator at the World Health Organization. 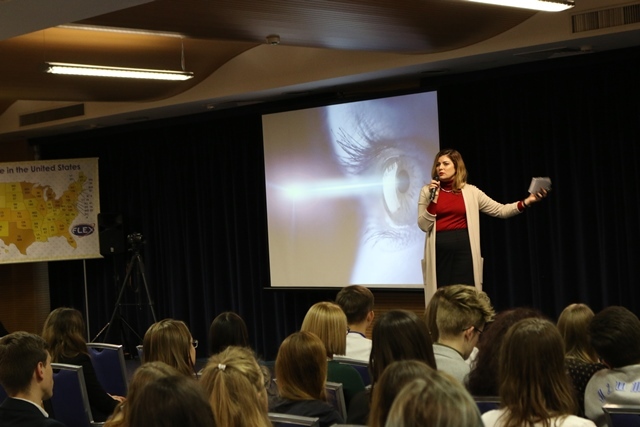 Iryna Dobrohorska ’11 (Lviv, Ukraine/Salem, OR) who shared her story of becoming more open and accepting of people different than her in the U.S. and her work in Ukraine fighting for the rights of the LBGTQ community. 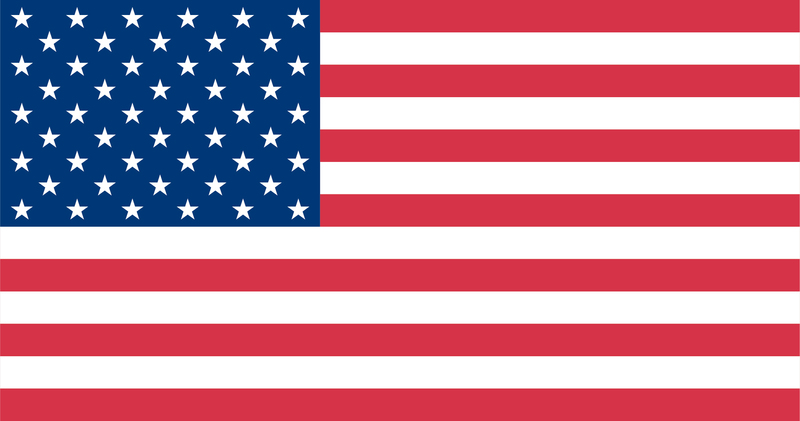 Hanna Bondarenko ’12 (Odesa, Ukraine/Jamestown, CA) the founder of the Ukrainian Volunteer Service. 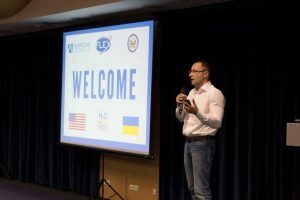 The FLEX and FLEX Alumni programs thank the U.S. Embassy in Ukraine and the U.S. Department of State through the FLEX grant for the financial support in organizing this project.